I had a big project that I just finished for my YW group. We made "back to school survival kits" for each of the girls and delivered them the night before the first day of school. 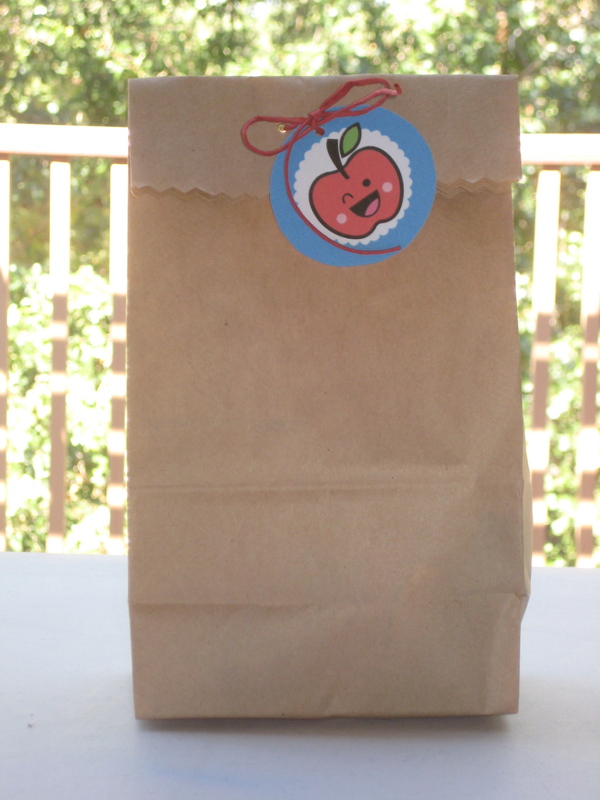 The outside packaging is a lunch sack with a decorative scissors edge, some red twine, and a cute printable from Paper Glitter. Love that site! I wrote each of the girls' names on the back of the apple tag. We also made a business card sized YW contact list with all of the leaders cell numbers on it for each of the girls to keep in their backpacks or purses. I found all of the little labels for each item HERE. Saved me a lot of time and they worked great. That is so wonderful. Love all the ideas. Of all the special thoughts in the bag, I especially love that the girls have their leaders' numbers to know that they are available and looking out for them. I should do something like this for Nichole as she's starting kindergarten in two weeks. Eek.